This DS Arms Slim Series PDW style upper receiver assembly is built featuring a billet upper receiver & handguard. This combination makes for a very slick & streamlined look perfect for your next pistol or SBR build! 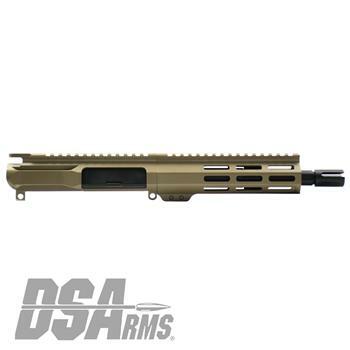 This upper has a barrel length of less than 16" it is the responsibility of the customer to know the laws and regulations regarding the purchase and ownership of uppers with a barrel length of less than 16". All Federal NFA regulations apply to this item.